Years ago my Aunt Micki, my mother’s sister-in-law, told me a story. 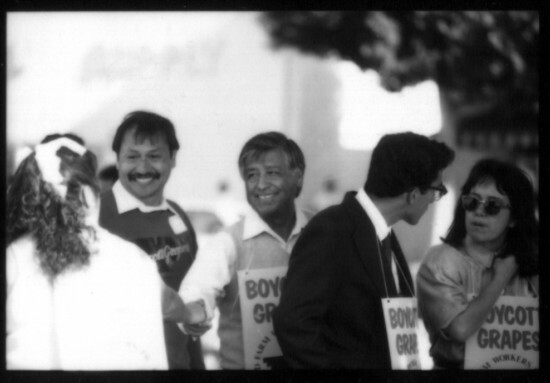 She used to organize for the CSO in Bakersfield, and one night Cesar came over, along with his wife Helen. While my Aunt Micki sat in the living room with Cesar plotting strategy, my Uncle Henry made sure that their 8 children were not interrupting the meeting in his usual loving way, playing with the kids, feeding them, talking to them. My Aunt Micki felt that Helen Chavez seemed a bit uncomfortable as it was the woman of the house who was working to organize for the better of the community while the husband was caring for the children. That is the family that I grew up in, where everyone did everything. The idea of “women’s” work and “men’s” work is a foreign idea to me. Cesar did too!